Remember the Skirt Chaser race I ran last year? Well, I ran it again this year, and this time, my official time was 28:09. I was 395th out of 715, but the women had a three minute head start. If not for that, I would have been 285th. Among all men, I was 172nd out of 276. I need to improve my time by about another minute to climb above the median. But I'm happy with my effort. 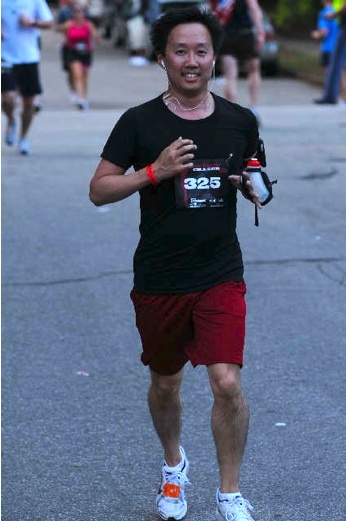 Here's me running, near the end of the race. So, remember back in the day, when I was running frequently and posting my two-mile times? And then I stopped running for a while, and ate poorly a lot, and my blood pressure skyrocketed? Yeah, that was scary. I haven't talked about it much, but I'm running regularly again. I've got the Nike+ thing for my iPhone now, which is a lot of fun. There's a decent route for running near where I work. So I'm running 5 kilometers two or three times a week. I've broken the 30-minute mark twice. And all those frozen lunches I've been eating... yeah, you can decry all the preservatives, but there's no denying that they're significantly lower in calories, fat, and sodium than just about any fast food or restaurant meal I can get. I used to eat out for lunch a lot. Replacing all those burgers and subs with these little frozen meals has made a difference. How much of a difference? Since the start of the year, I've lost eight pounds. My blood pressure this morning: 113 over 77. And no, I'm not planning on eating those frozen lunches forever; this is just an experiment. The next phase will involve cooking healthy low-calorie meals from scratch. I'm even planning to make my own cheese. I have a lot of motivation to stay healthy... the main one is that I want to be around a long time to take care of my lovely wife. That's the thought that keeps my legs moving when I'm out there on a long uphill stretch. I think I'm doing okay. 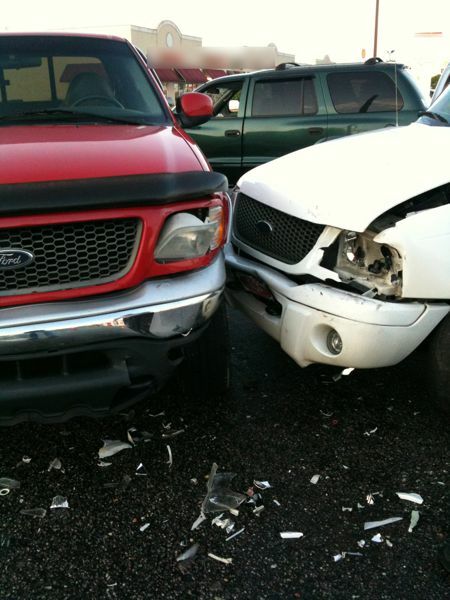 Okay, let me be clear: I wasn't actually part of this; it just happened right in front of me.